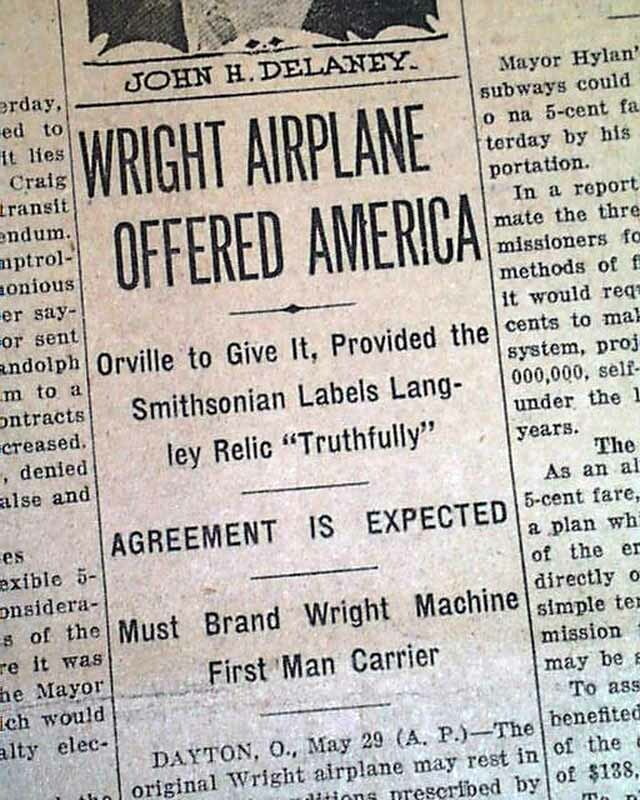 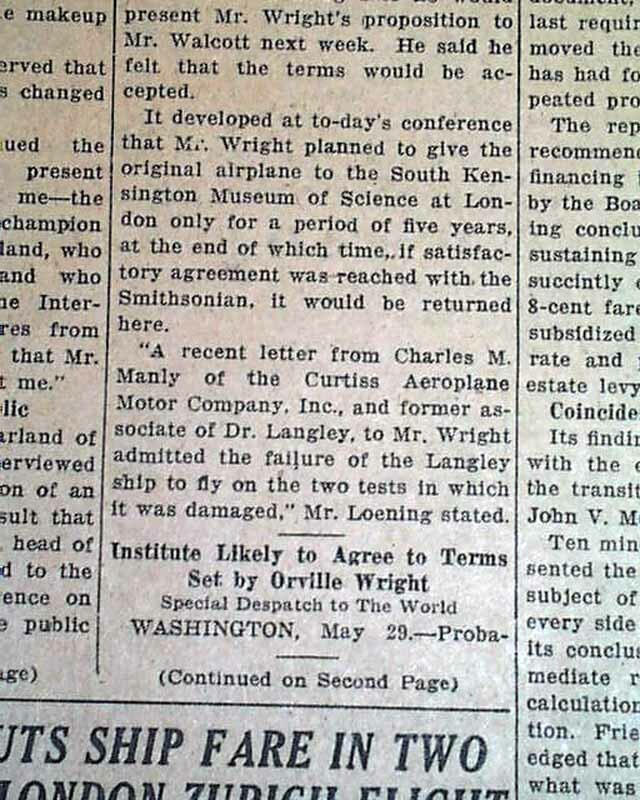 This 22 page newspaper has one column headlines on the front page that include: "WRIGHT AIRPLANE OFFERED AIRPLANE", "Orville to Give It, Provided the Smithsonian Labels Langley Relic "Truthfully"", "Must Brand Wright Machine First Man Carrier", and more. 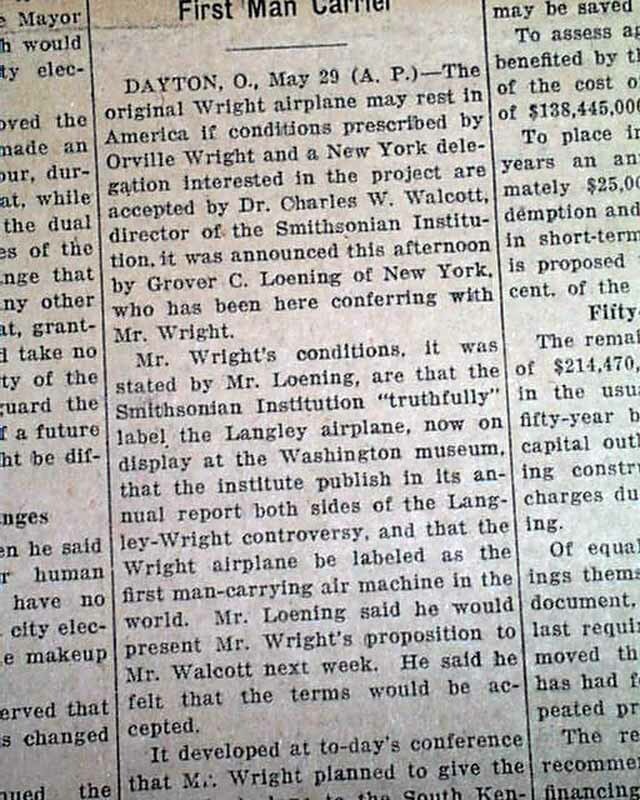 Tells of the beginning of the Wright-Smithsonian feud that lasted until 1948. 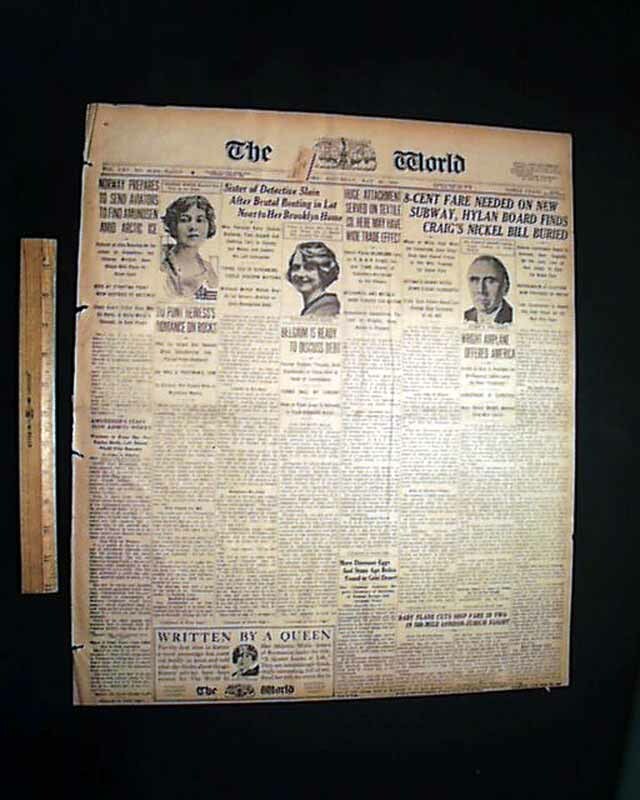 Other news of the day including period advertising. 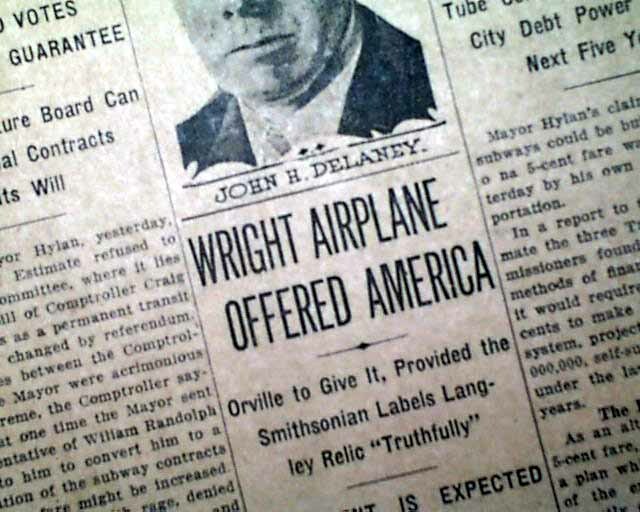 Light browning, minor margin wear, otherwise good. 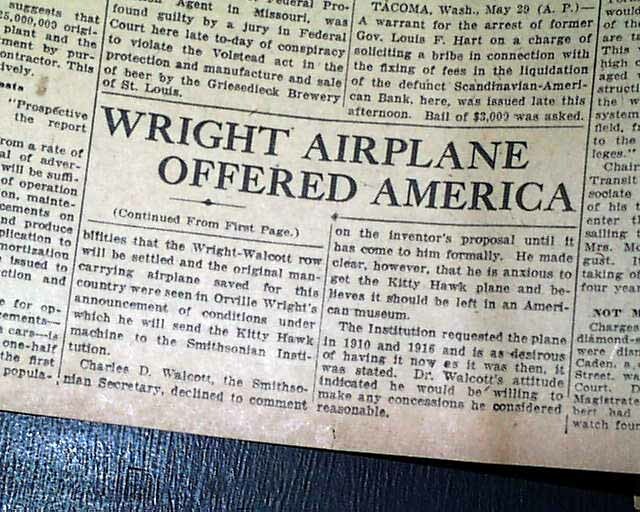 Should be handled with care.